The Citroen Jumper Van Backup Camera has a 120° Degree viewable angle, its waterproof and has auto night vision. The camera is one and has excellent night vision clarity. 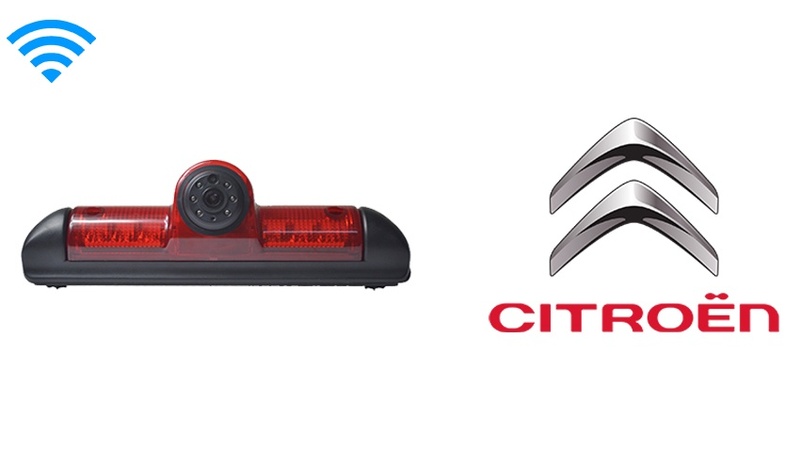 The Citroen Jumperr backup camera simplly replaces your middle brake light. This allows the camera to be hidden in plain sight, it looks completely stock and is a great option for anyone with a Citroen Jumper Van. This camera can take a direct hit from a rock and it will still work like new. Its has also been very poplular with Citroen Jumper, because its housing allows you to install the cameras on multiple sides of your van. The CCD lens is the clearest and highest quality camera TadiBrothers sells, also called the HD Backup Camera. You can select that as an option as well. This system comes with a 35ft Premium cable which should cover the length of any Citroen Jumper van. If you need a longer cable we have many different lengths.